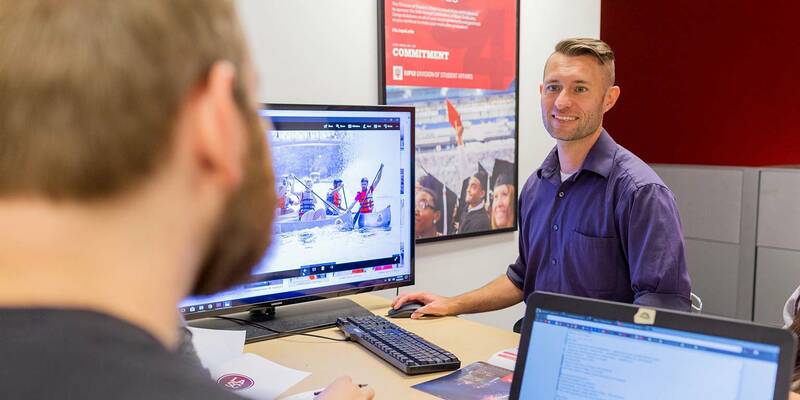 As the Lead Creative Designer at the Multimedia Production Center (MPC), Nate Mugg puts his artistic talents to work to support the programs of the Division of Student Affairs and IUPUI student organizations. 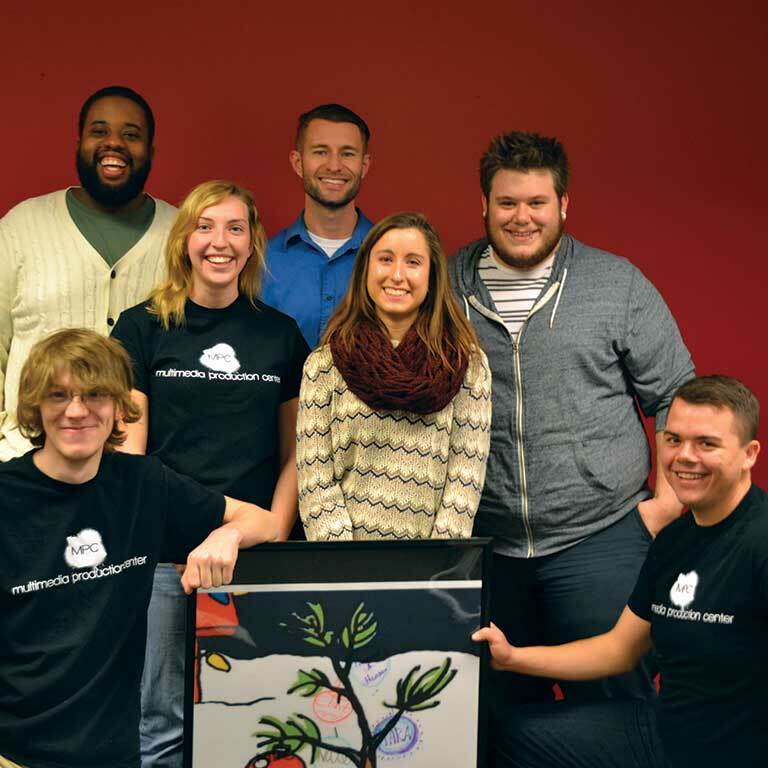 Evidence of his creative touches and the work of his talented team of student designers has been seen all around campus, around Indianapolis – last summer at Circle Centre mall in downtown – and even halfway around the world at Cairo University in Egypt. As an undergrad student at IUPUI, Mugg was studying computer graphics technology when he was hired at the MPC in 2005 as a student designer. In addition to the MPC, he held several different jobs within the Division of Student Affairs: resident assistant, info desk staff and secretary of Undergraduate Student Government. By his own admission, Mugg’s collegiate journey was a little roundabout. After a few semesters in pre-med biology and then a couple years studying nursing, he decided to turn his graphic design hobby into a career. He began his full-time job at the MPC after graduation from the School of Engineering and Technology. Ten years later, Mugg completed his bachelor’s degree in general studies at IUPUI. 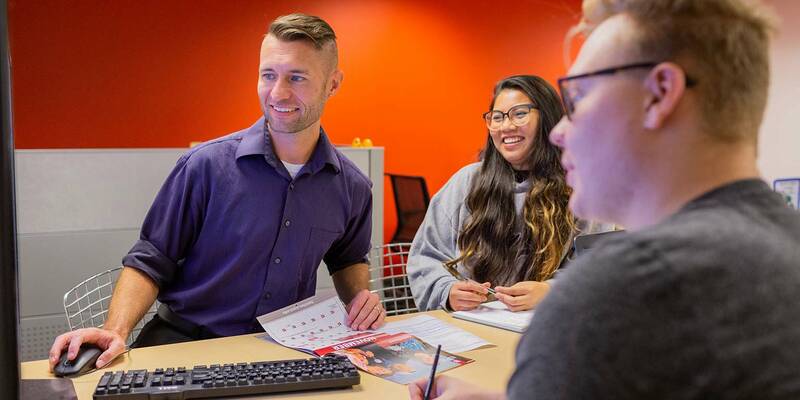 “I would say that finishing my bachelor’s degree is for sure my top accomplishment because once I got my job at IUPUI with my associate’s degree, I put my studies on hold. I eventually got married and had kids, and it wasn’t until my former supervisor, Andrea Anderson, pushed me to finish my degree that I finally completed everything. Experiencing that kind of support was great.” Mugg said. Both as a student and as a professional, Mugg has been a member of the IUPUI campus community for a combined 18 years, and he’s created quite a collection of fond memories. “The one thing that ties all those memories together though are the people that I’ve gotten to know and become friends with over the years and the relationships that have been formed,” he said.